We are just days away from another presidential election, the culmination of a seemingly endless national vetting process. Experience, short-term and long-term goals, character and demeanor—these, and other factors, play in the minds of every voter. Recruiters are especially familiar with this process. Hiring a new employee is an important decision for every employer, whatever the scope of the business. Choose the right person, and your business could be reaping the benefits for years to come; choose poorly, and your business will be left worse off than before, perhaps with some problems not-so-easily fixed. 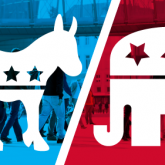 Regardless of who you plan to vote for, viewing the 2016 presidential race with a critical eye can teach recruiters a lesson or two about hiring. Here are four important lessons recruiters can learn about hiring from what may go down as one of the most important elections in U.S. history. Lesson #1: Have an effective background check in place. Throughout the campaign we’ve heard moderators ask Donald Trump time and time again if he plans to release his tax returns. He has repeatedly promised their release but only once he is no longer under audit. This lack of transparency makes some people wonder what, if anything, he has to hide. The same could be said for Hillary Clinton and her emails; her efforts to cover her tracks means that the general public will likely never know the full extent of the issue or her involvement. Luckily, recruiters can avoid that feeling of uncertainty by tapping into background checks and backgrounding screening software to help them determine if a candidate for consideration has been truthful, or if they have embellished their experience and skills. This is important today, as CareerBuilder has shared that 58 percent of employers have caught a lie on a resume. Lesson #2: Don’t ignore the red flags. Trump has more recently been in the spotlight for his history of making what almost all would agree are highly offensive comments directed towards an array of individuals and groups. Conversely, many feel that Clinton has actively avoided accountability for her email scandal. These examples have significance beyond face value; they offer some insight into how the individual behaves behind closed doors and how they are likely to act in the future. Red flags can be anything from a long gap between being employed on a resume to a candidate not shaking the hand of his or her interviewee. No matter the job you are looking to fulfill, it’s important to find a candidate who not only has the necessary skills and qualifications, but who also has the soft skills you are looking for. As a recruiter, the lesson to learn here is that sometimes “red-flags” will come up and when they do it is important to not just brush them off. Lesson #3: Check your candidate’s social media. Regardless of your political leaning, few would argue that Donald Trump is among the most adept candidates in recent years in utilizing social media to his advantage. Indeed, social media has been one of his most potent weapons—think of his repeated labeling of his opposition as “Little,” “Lyin’,” or “Crooked.” While successful at using social media, it has also led to some embarrassment for Trump as he has been criticized for sharing impromptu tweets that some claim sends the message that he acts on impulse. Likewise, the Wall Street Journal, shared an article on how Clinton, has utilized social media to reply to her rival with direct one-liners. In addition, her accounts have been used to enforce her brand image and as Mashable pointed out show humanistic glimpses of Clinton. According to CareerBuilder's annual social media recruitment survey, 60 percent of employers use social networking sites to research job candidates. Over the years, recruiters have increasingly used social media to vet job candidates, and rightfully so. Social profiles can shed new light into how a person acts outside of what is shared within their resume and cover letter. Many of today’s companies look to hire people who can be considered a good representation of their company even after work hours, so social media usability does matter. And for jobs that require marketing skills, social media competence can be a big advantage. Utilizing social media can also help you screen prospective candidates to confirm if their skills and qualifications make them the right person for the job. Lesson #4: Ask situational questions in the interview. This election has brought up an ongoing debate between our next President having experience in office and how significant that is to the American people. While Clinton has political experience including Secretary of the State and First Lady to President Bill Clinton, Trump has business experience as Founder and Chairman of Trump Hotels. Anyone can argue that either of these are commendable, but what may be the better question to ask is how have Clinton and Trump performed in their past roles? Did they meet their goals and objectives? What we’ve learned here is that recruiters should ask a candidate situational questions that relate to the open job they are looking to fill. By asking situational questions, recruiters can gain insight into the way candidates behaved in the past—such as if the candidate has soft skills and is a team player. Hearing a candidate’s on the spot responses and examples are often the best predictor of the way they'll behave in the future. Not to mention, this can help determine if a candidate will fit into the company culture. The reality recruiters need to remember is that if there is an issue now with the candidate then there will likely always be an issue. If you want to know about how hiring trends might be affecting the election in swing states view this recent report by iCIMS Chief Economist, Josh Wright.